Earlier today this dedicated scribe watched two and a half hours of Parliament TV as the Culture, Media and Sport Committee held an evidence gathering session interviewing the major players in the secondary ticketing market, and other experts. Narcos or Orange is the New Black it was not. So, what did I learn, apart from the fact Netflix has nothing to fear from this particular streaming service? In one of the most depressing comments on the sorry affair, Reg Walker of Iridium Consultancy – who has extensive knowledge of the sector and works to make ticketing a better place for consumers – stated that “real fans have no chance of getting a decent, face value ticket for a show that’s going to sell out”. Instead, arrangements between secondary sites and promoters or venues, ticket bots, and large scale touts with rooms of people ordering tickets the moment they go on sale, hoover up most of the stock and then list them on secondary sites for a tasty profit. In a recent amendment to the Consumer Rights Act, provisions were put in place to try to improve the secondary ticket market. The main changes were around transparency; sellers must tell you who they are, what type of ticket you’re buying, and the original face value of the ticket. Unfortunately this has been largely ignored, and the lack of enforcement of the act was something early speakers Josh Franceschi of You Me At Six, Ian McAndrew of Wildlife Entertainment and Annabella Coldrick, Music Managers Forum, were keen to highlight. It was later raised by Professor Michael Waterson, author of an extensive report in to ticketing for the government, as he stated that “relevant sections of the CRA were amended but very little happened. I made recommendations that resources are made available to help”. During their evidence giving session it became clear Stubhub don’t feel it is their legal responsibility to display the ticket and seller information required by the Consumer Rights Act, a view presumably shared by their peers. “It’s not for us to police our site” became almost a mantra given the amount of times Stubhub Head of Legal Paul Peak repeated those words. They believe that giving sellers the option to declare who they are – e.g. whether they’re a business or a consumer and other pertinent info – is enough to satisfy the regulations, and the fact that 90% of users fail to provide that information is, in effect, someone else’s problem. Neither did they believe it to be their responsibility to investigate apparent “consumer” sellers that list tens or hundreds of tickets for resale on their site. One thing everyone could agree on – from members of the committee to artists, artist managers, Ticketmaster and the secondary ticketing sites – was that ticket buying bots are bad. Very, very bad. Automated programmes that buy tickets in bulk the second they’re released for sale and enable so called “powersellers” (touts) to get their hands on hundreds of tickets before fans can, Bots are on their way out. A dozen states in the US have outlawed them already, and it was clear that everyone in the room felt the need for the same restrictions here. Hallelujah! Annabella Coldrick of the Music Managers Forum, and one of the founders of the rather excellent FanFair Alliance, spoke of the need for consumers and industry insiders to better understand ticketing. Stats suggest only a quarter of ticket buyers know where they bought their tickets from, and far fewer know the difference between a primary and secondary seller. This foggy understanding is further exploited by secondary sites paying for prime spots on Google, often leading to the misunderstanding that they’re the official or preferred ticket outlet. It was also pointed out that secondary sites having tickets on sale the moment shows go on sale has made it difficult for customers to know the true face value of a ticket. If everyone better understands how ticketing works we can help customers to avoid exploitation and ridiculous resale prices. In one example referred to several times by the Committee (who, presumably, are big Phil Collins fans), tickets for his shows at the Royal Albert Hall next summer were highlighted. These gigs are promoted (organised) by Live Nation, the primary ticket agent is Ticketmaster, and tickets are now selling for hugely inflated prices on secondary site Get Me In. The rub? They’re all one and the same; Ticketmaster and Get Me In are owned by Live Nation. “That’s three bites of the cherry”, one member of the committee observed in reference to profits from those tickets – Ticketmaster UK Chairman Chris Edmonds simply commented that it was “something we need to look at”. Hmm. When Josh Franceschi of You Me At Six gave evidence on behalf of artists – and perhaps more accurately, on behalf of music fans – he spoke with passion about ensuring fans got a fair deal and weren’t ripped off or exploited. Clearly livid about tickets for their upcoming date at Alexandra Palace being resold at extortionate prices, the band booked a small show in Camden and sold the tickets face-to-face to fans in a local record shop. Other artists, in particular Iron Maiden, were cited as examples of artists doing everything in their power to ensure tickets didn’t make it in to the hands of touts. Not only this, but Josh highlighted the problems faced by emerging bands in growing a live fanbase when music fans are spending their entire gig-going budget on a pair of expensive tickets to one show from a secondary site, rather than on 4 or 5 shows at the original face value. 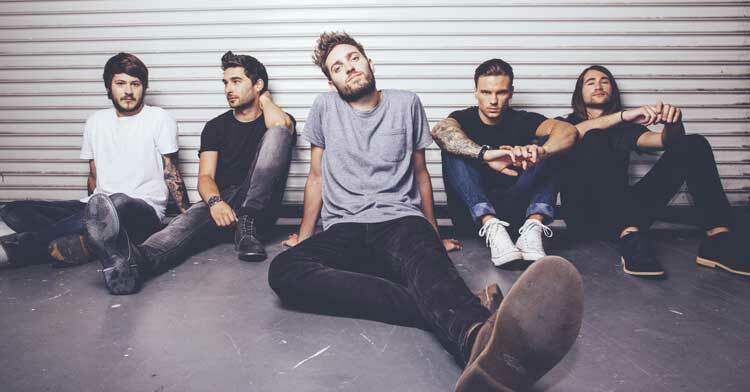 Unfortunately not all acts are singing the same song as You Me At Six. When asked if some artists are aware of or even complicit in their tickets ending up on secondary sites at raised prices the answer was unanimous; yes. Josh Franceschi said he was aware of artists doing this for a share of the extra revenue (but refused to name and shame – fair enough, I guess); Ian McAndrew of Wildlife Entertainment (who manage Arctic Monkeys, Royal Blood, Travis and more) spoke of being approached by the “big four” secondary sites asking for ticketing inventory; and Annabella Coldrick of the Music Managers Forum said she was aware of it happening and that the FanFair Alliance was working specifically to discourage artists and artists management from doing this. A slightly sobering point was made by Ian when he commented that unfortunately “the only way to keep the money in the industry is for artists to be complicit, and that’s the problem”.